Like many other Web sites, HDNA makes use of log files. The information inside the log files includes internet protocol ( IP ) addresses, type of browser, Internet Service Provider ( ISP ), date/time stamp, referring/exit pages, and number of clicks to analyze trends, administer the site, track user’s movement around the site, and gather demographic information. IP addresses, and other such information are not linked to any information that is personally identifiable. We need this information to keep the website running properly by identifying site problems and providing information necessary to correcting them. Occasionally, when we have time – which is not often, we will compile aggregate statistics about the number of visitors this site receives and browsers being used. No personally identifying data is included in this type of reporting. We maintain our computer servers in a secure datacenter. We make reasonable efforts to protect the information on our server against theft. Due to the complexity of software and the many bad bad people that try to compromise computer servers, we can not guarantee that your information will never be stolen. We never store credit card information on our servers. If we don’t have it, it can’t be stolen. The HDNA site supports an authentication system called OA Auth that allows you to register or login to our site using your Facebook or Google credentials. This authentication takes place directly with Facebook or Google. HDNA does not have access to your credentials from these two sites. You can discontinue this feature at anytime from your Facebook or Google application settings. By using Facebook or Google to connect to the HDNA website, you are sharing basic information from your profiles at those sites with us. You can read more about Facebook Connect and Google+. This policy only applies to this Habonim Dror site. 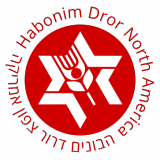 This site links to other websites including other Habonim Dror affiliated sites that may have different privacy policies, or no policy at all.